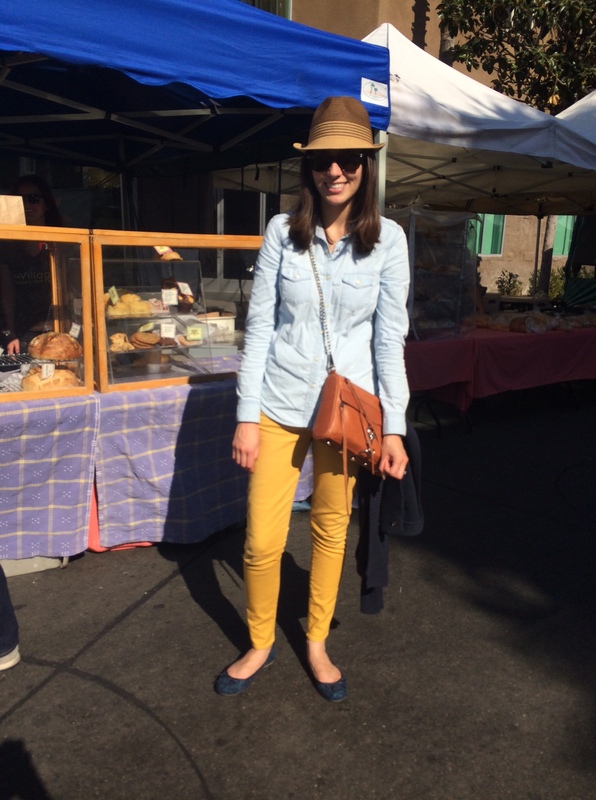 I spotted this lovely lady in a fall Canadian Tuxedo – Gap denim shirt and Citizens of Humanity mustard jeans – on Sunday at the Hollywood Farmers’ Market. This entry was posted on Tuesday, November 12th, 2013 at 11:00 am	and tagged with Canadian Tuxedo, Citizens of Humanity, Denim, Denim on Denim, double denim, Fashion, gap, Hollywood, Hollywood Farmer's Market, Los Angeles and posted in In The Wild. You can follow any responses to this entry through the RSS 2.0 feed.